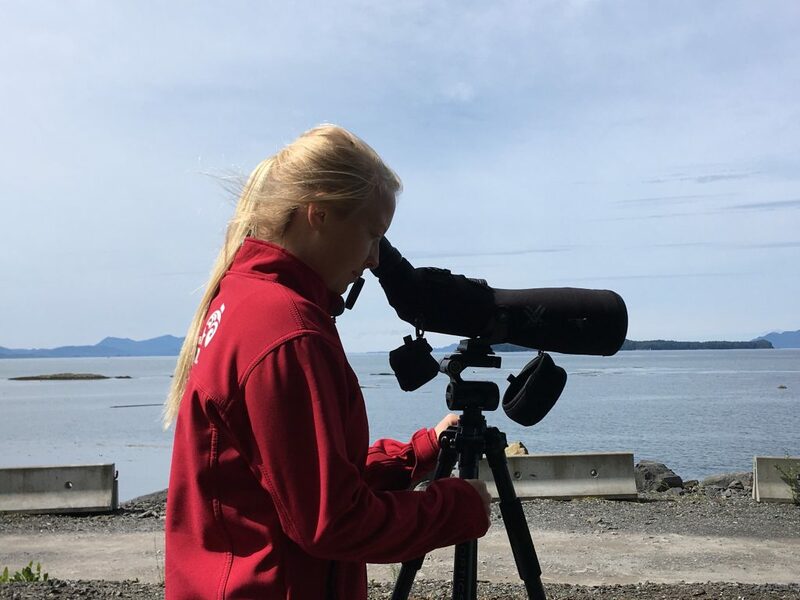 Each summer, our North Coast office hires summer students through the Canada Summer Jobs program to help with various projects related to cetacean research and conservation out of Prince Rupert, BC. This year, Sarah Ducharme, a fourth year student at Vancouver Island University, joined us for several months. As she left to head back to school in September, we asked her to give us a recap of her summer. This summer, I was fortunate enough to have the opportunity to work for Ocean Wise’s Coastal Ocean Research Institute as part of the North Coast Initiative in Prince Rupert. As a student of Natural Resource Management at Vancouver Island University who has a particular interest in marine conservation, accepting this offer of employment was an easy decision – I was all in, and so excited to join the team! One road trip from Nanaimo to Prince Rupert later, and I was all settled in to my new place, ready to begin a summer of cetacean research and outreach efforts. Although I learned that it is definitely as rainy as they say on the North Coast, I was still in for one of the most fun, educational and rewarding summer jobs I’ve had. Throughout my summer, I was able to help with a number of exciting projects! These included working with B.C. 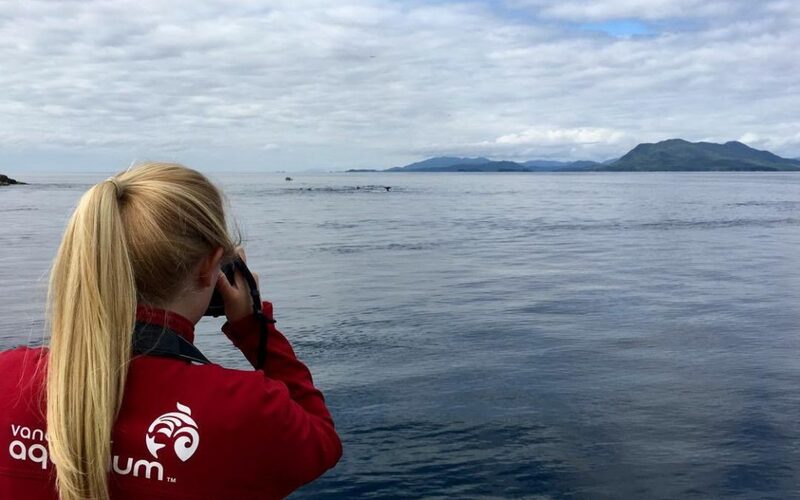 Cetacean Sightings Network program to respond to observer reports, harbour porpoise surveys, marina outreach visits in Prince Rupert, Kitimat and Haida Gwaii, as well as the creation of a North Coast Humpback Identification catalogue! The North Coast office has been working hard to put together an identification catalogue of Humpback whales that use Chatham Sound and Work Channel. 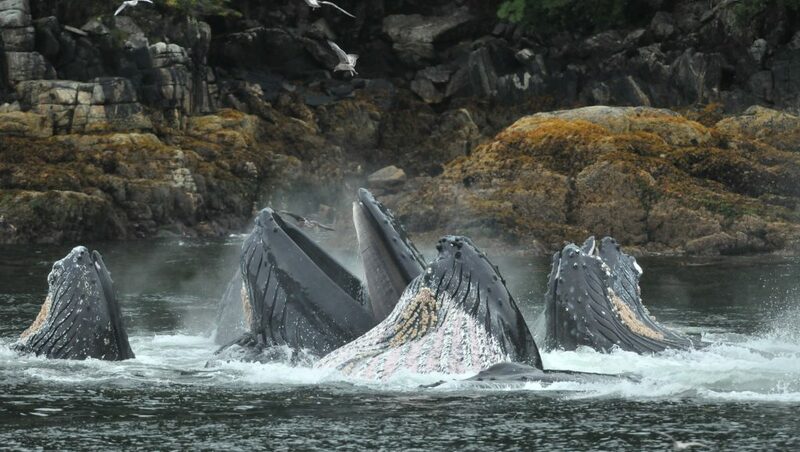 This summer, Prince Rupert Adventure Tours graciously allowed me to tag along on some of their tours to collect photos of Humpback flukes, which researchers use like “fingerprints” to identify individual whales. Not only was I able to get a number of fluke photos that will be used to help with our research efforts, I also had the fortune of watching bubble net feeding for the first time. It was a highlight of my summer, and a thrilling experience that I will not soon forget! Overall, this has been an employment opportunity that gave me the chance to work towards a cause that I am passionate about, while also learning more about cetacean conservation efforts in the North Coast region. Not only does the North Coast branch help to expand the scope of the B.C. 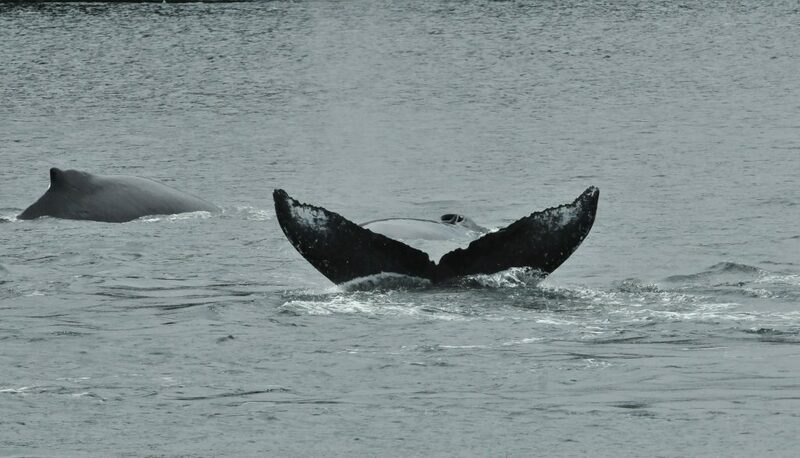 Sightings Network, it also engages individuals in becoming more aware of cetacean presence in North Coast waters. As a result, we can keep working towards ensuring the safety and well-being of these animals in the future. I am so thankful to have had this opportunity and, despite the rain, I already can’t wait to visit Prince Rupert again soon.